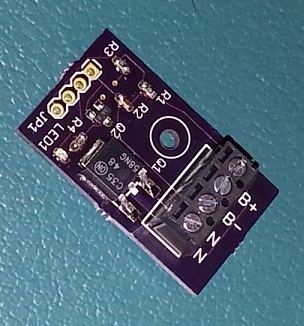 Hexpert, the maker of the Zlog 7 flight computer has added a balloon cutdown / high voltage switch board to it’s offering to the HAB community. This nylon cord cutter module takes a logic level voltage input and uses it to switch a high current circuit. 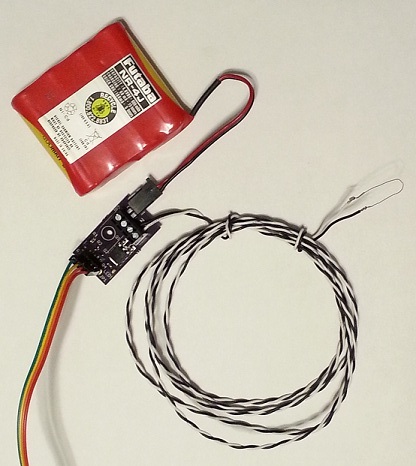 It was designed to switch a small 4-cell AA or NiCd battery pack to heat up a nichrome wire that would cut through a nylon or polyester cord to separate a payload from a weather balloon. Switch up to 25 volts, and 10 amps. Control voltage input ranges from 3.3 to 20 volts. Screw terminals for high current source (battery pack) and nichrome wire (or other load). Control input designed to mate with ZLog-7 port J11 (requires firmware 1.4 running on ZLog-7 for altitude triggered control). 1.35″ x 0.8″ x 0.5″ (34 mm x 20 mm x 12 mm). Includes 1 meter nichrome wire. Recommended nichrome loop length of 2.3″ (6 cm) works well with 4-cell NiCd pack.